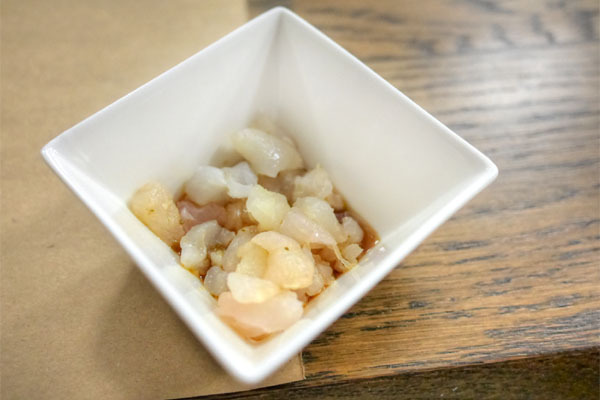 If you're a fan of Sugarfish, you're might be interested to hear about Kazunori Nozawa's latest venture, the eponymous KazuNori in Downtown. Originally rumored to be a high-end omakase place à la Nozawa Bar, KazuNori's actually a restaurant focused solely on hand rolls. 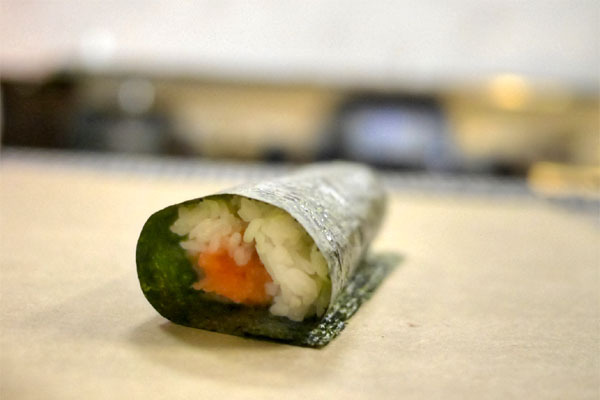 Nozawa-san popularized the now ubiquitous blue crab temaki at his old Studio City spot, and is now dedicating an entire eatery to the concept. 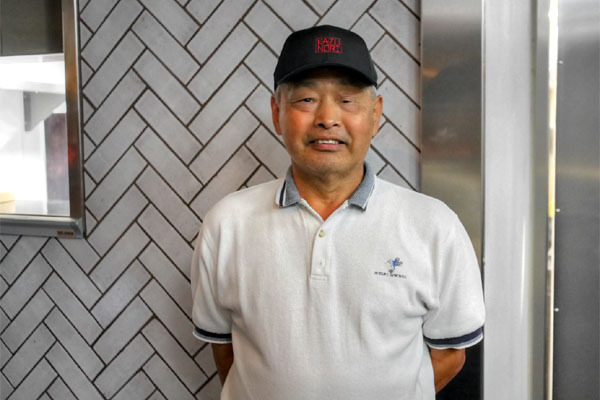 After previewing KazuNori at Coachella in April, the team grand opened on August 5th. Situated within spitting distance of both Bäco Mercat and Zo, KazuNori occupies the odd, parking structure home of an old dry cleaner-slash-art gallery. 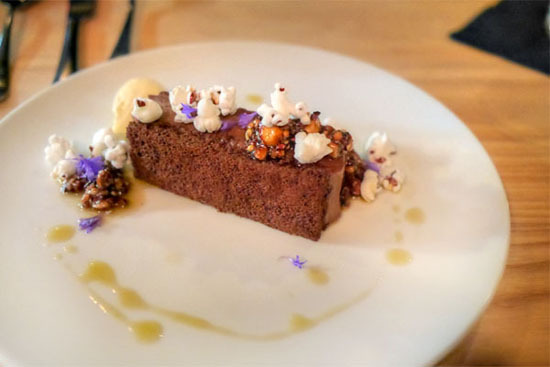 The minimalist room was penned by DEX Studio's Glen Bell (he's done a number of Sugarfish locations, as well as Badmaash) and features a lone 22-seater bar. 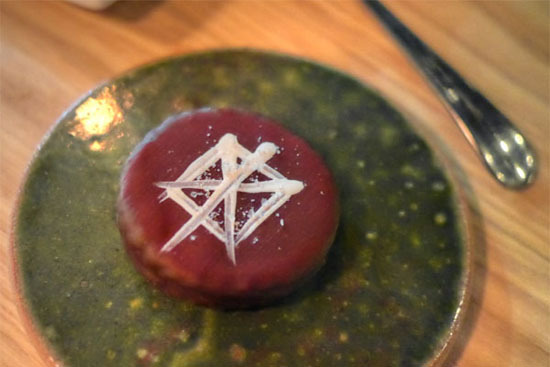 There are no tables available, as the idea is to have the chefs hand over the rolls as soon as possible to retain maximum crispness on their seaweed wrappers. As for KazuNori's menu, you can expect around seven different hand rolls, as well as a daily sashimi selection, all available à la carte. 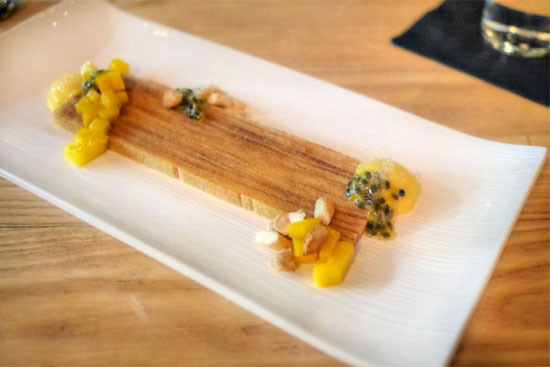 However, you really should opt for one of the three-, four-, or five-course "tasting menus," as they represent a significant discount from ordering separately (hint: there's also an off-menu six-roller for $20). Take-out is available, but with cut rolls only, and to drink, you get a ho-hum selection of water, teas, sakes, and beers (though at the time of this visit, their license hadn't been approved yet). I'm told that corkage might be in the works. Click for larger versions. 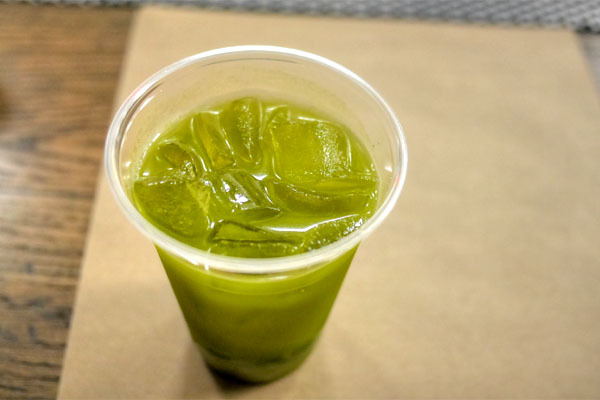 Given the limited beverage selection, I opted for a refreshingly bitter Iced Green Tea [$2.50] to drink. 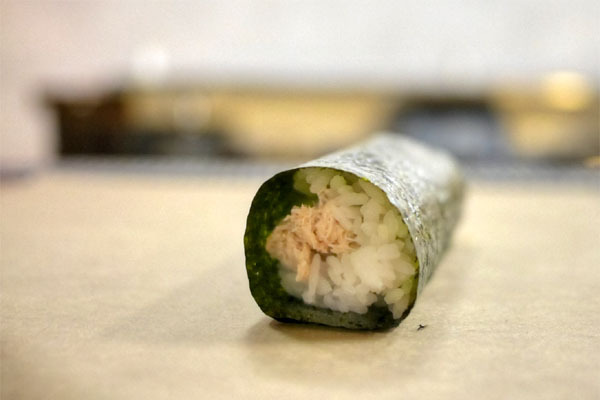 We started off the parade of hand rolls with the toro version, the lush, creamy tuna really melding quite nicely with the warm rice while the crisp, thin, almost fragile nori wrapper imparted just the right amount of crunch and umami. The salmon was similarly satisfying, though with a more substantial texture on the fish and a smidgen more smokiness to round things out. 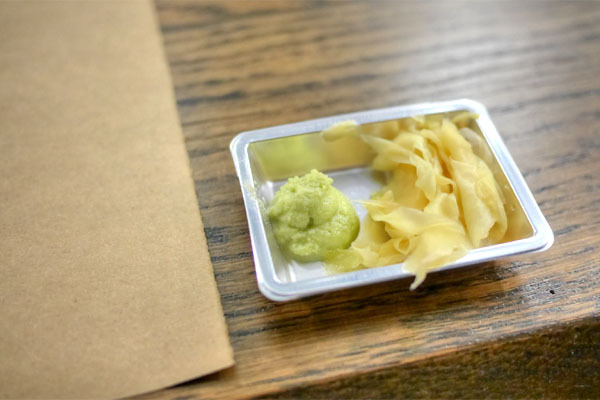 To go with the rolls: wasabi and gari, natch. The cucumber, unsurprisingly, was the lightest, brightest of the sextet, so a dab of soy was certainly called for to augment its flavors. The yellowtail was standout for many of us, thanks to its blend of fatty fish and zesty scallion, a combo that paired well with the roll's base of rice and seaweed. Tonight's sashimi selection was halibut, with the clean, springy cuts of fish arriving dressed with a tangy ponzu-based sauce. Nozawa's signature blue crab hand roll was as on point as ever, with the sweet brine of the crustacean proudly displayed. 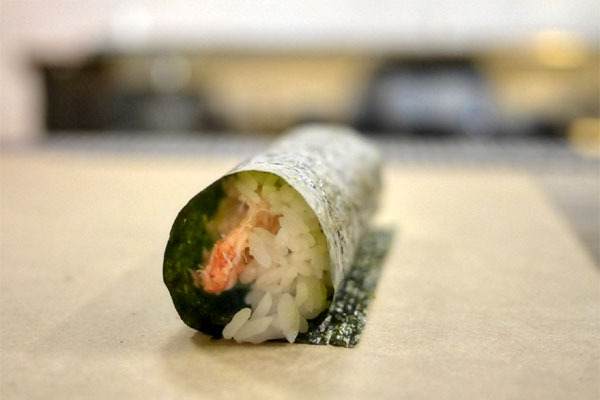 Our final roll, though, might've been even better, with the sweet, supple, creamy cuts of lobster really shining through. Chef/Owner Kazunori Nozawa was in the house tonight overseeing everything. 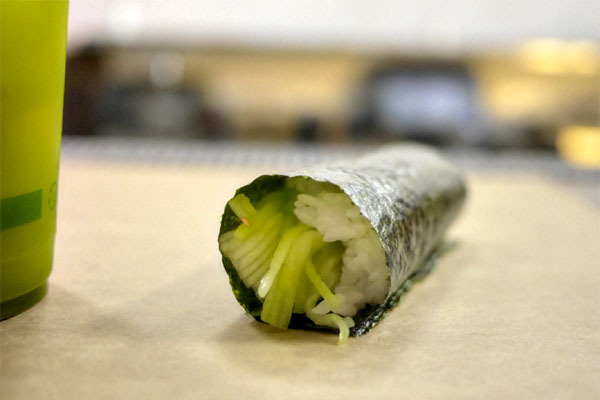 KazuNori's an unexpected concept from the Sugarfish team, and I don't think I've ever encountered a restaurant so squarely focused on hand rolls. 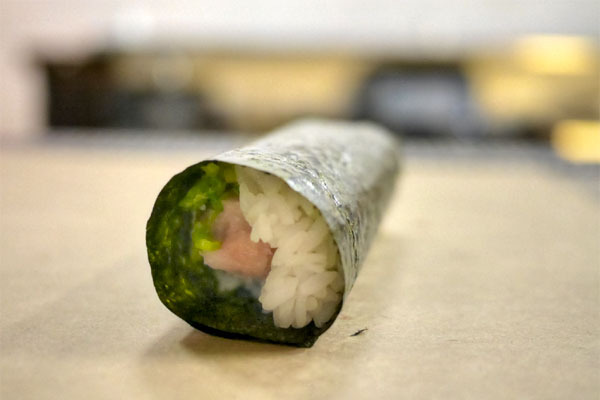 The rolls, though, are tasty and gratifying in a straightforward sort of manner, and the quality of the ingredients certainly seems up to snuff: the fish, the warm, loose rice, and especially the crispy leaves of nori. For a quick, reasonably-priced meal, you could certainly do worse, so I expect this place to be pretty popular. 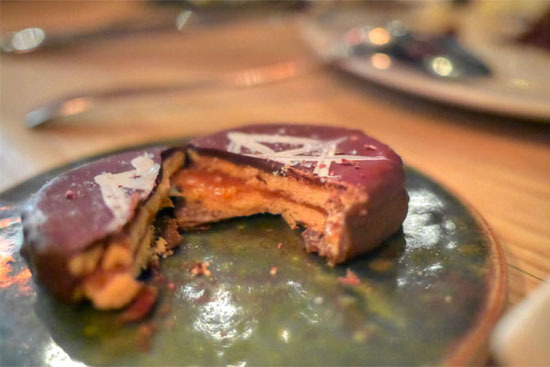 Prior to dinner, we stopped by Fifty Seven to sample a couple of Pastry Chef Sahar Shomali's lovely new desserts, including a reimagined Twix bar. Do your tastebuds remain sensitive throughout the meal? 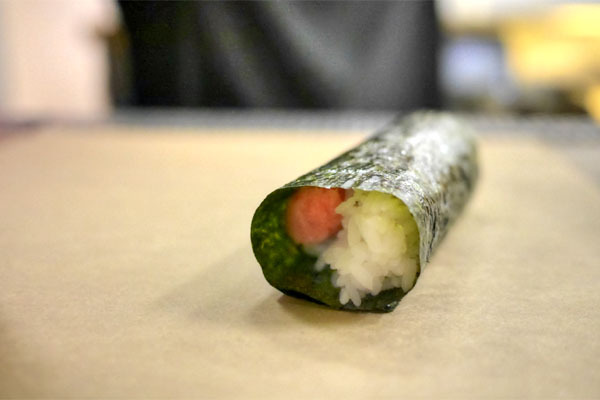 After two handrolls, I can't distinguish flavors more subtle than salmon skin. Some insider scoop: Sugarfish's blue crab comes out of a can and their "toro" is tuna and albacore mashed up together. tuna and albacore!? what happened to Nozawa's "TRUST ME"
Are you going to review the new Din Tai Fung? GT: Yeah, you just gotta take your time and drink tea/water to refresh between courses. Anon: Any references to back that up? The consistency of the toro is a bit different than what I'm accustomed to, but then again, some place do serve toro mashed up. Anon: It's at Sugarfish I guess? Anon: Perhaps. I actually went to the original back in Taipei recently. Useful and helpful article my friend. Thank you i like your info is beautiful and great.